Santana announced that she had hired Frazier just after Chief Anthony Batts resigned. While announcing the appointment of Howard Jordan as the city's new interim police chief last October, City Administrator Deanna Santana told reporters at a City Hall press conference that she was also hiring Thomas Frazier as a consultant. Frazier is a former Baltimore police commissioner who also worked for the San Jose Police Department for 27 years. Santana knew Frazier from her time as a deputy city manager in San Jose, and she said he would help OPD finally live up to the reforms mandated in the federal consent decree. 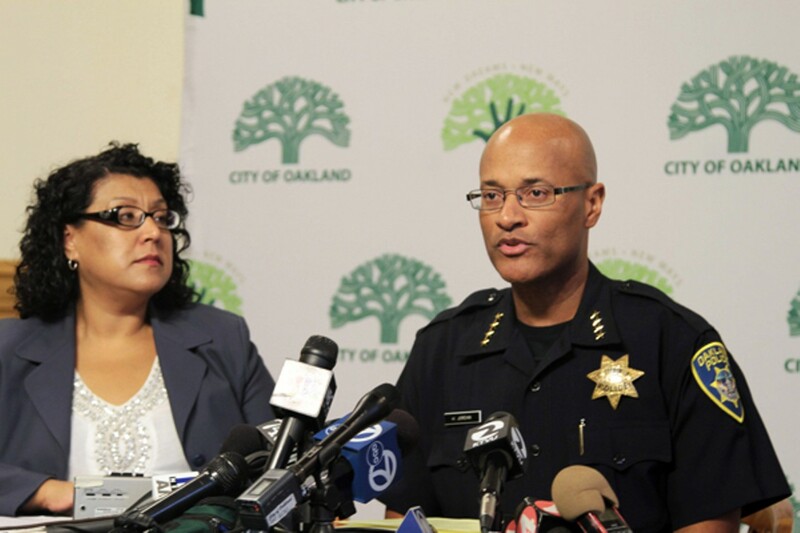 Six months later, however, Frazier and Santana were involved in a testy and lengthy email exchange over the contents of a hard-hitting report that Frazier had produced on OPD, its dysfunctional culture, and its heavy-handed response to Occupy Oakland. The emails, obtained by this reporter, show that Santana wanted to redact portions of Frazier's report that included strong criticisms of OPD. In one email, Santana's chief of staff Alexandra Orologas also requested that Frazier send a draft of his report in Microsoft Word format to Santana to make it easier for city officials to alter the report's contents. Santana also requested that Frazier send the report to her private Comcast email account — in a move that could have kept the email exchanges and the alterations that Santana intended to make to the report from becoming public. Santana also apparently sought to keep a draft copy of the report, and the changes she wanted to make to it, out of the hands of one of Mayor Jean Quan's top aides. Frazier, however, steadfastly refused Santana's request to send his report to her in Microsoft Word or to her private email, writing at one point: "I'm afraid we can't do that." The emails also show Frazier refused a request from Santana that might have resulted in most of his report being kept secret. The city administrator wanted him to "bifurcate" the report's executive summary from its actual findings. 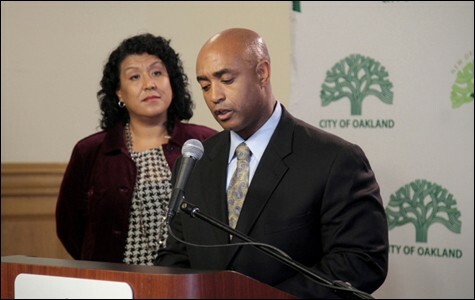 After Frazier refused again and Santana and Quan finally released his report in full in June, the actual findings made up the lion's share of the report and included criticisms of OPD's inadequate planning before the October 25 raid on Occupy Oakland; the use of internal affairs officers during the raid, some of whom would later investigate complaints against OPD; failures by the department to follow its own crowd-control policy; a seriously mishandled criminal investigation into the wounding of Iraq War veteran Scott Olsen; revelations that Olsen was gravely wounded by a beanbag round identical to those used by OPD that evening; and serious misgivings from OPD officers who told Frazier Group investigators about the department's lax attitude toward misconduct and discipline. In an interview, Santana said she wanted Frazier's report in Microsoft Word format because she contended that an earlier version of the report was riddled with errors. "What I found was that more due diligence was needed," she said. "Facts had to be cleared up." 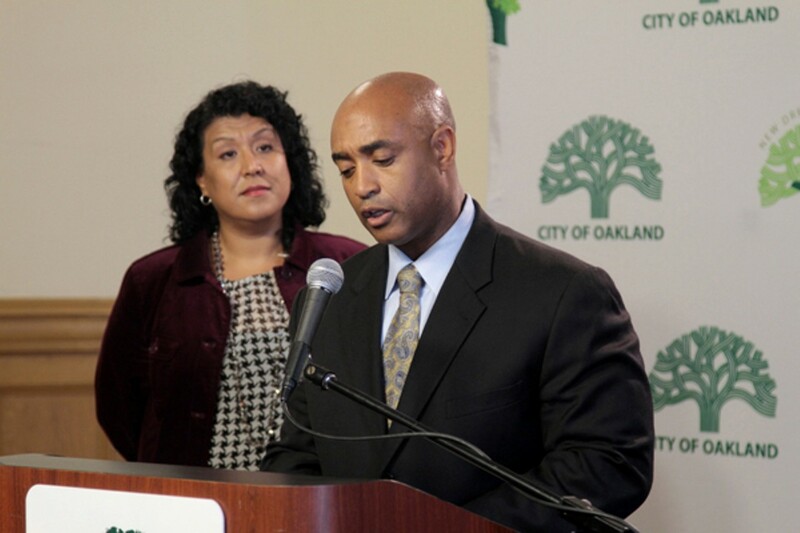 Frazier has declined requests to comment further about Oakland-related issues. Since arriving in Oakland in August 2011, Santana has risen to a level of prominence seldom experienced by appointed municipal bureaucrats. The 41-year-old Massachusetts Institute of Technology graduate had cut her teeth as a public safety analyst in the Oakland City Manager's Office during the 1990s before becoming a deputy city manager in San Jose. Despite the tumult surrounding the city's response to Occupy Oakland protests last fall, Santana emerged with her law-and-order credentials intact. In a laudatory July 9 article, the San Francisco Chronicle hailed Santana as a firm-handed, principled official willing to make "gutsy calls," including the October 25 raid on the Occupy Oakland camp — a move initially opposed by Quan, whose public image has never recovered. The raid on the tent city at Frank Ogawa Plaza and the subsequent violent encounters between Oakland police and demonstrators attracted global media attention. Moreover, it placed OPD's conduct under such scrutiny that the city's response to Occupy Oakland promises to play a major role in upcoming hearings over a potential federal takeover of the police department. Santana, Quan, and other Oakland officials have all stated their opposition to federal control of OPD, and plan to oppose a receivership motion by civil rights attorneys John Burris and Jim Chanin in US District Judge Thelton Henderson's courtroom this December. One of the pieces of evidence the city will be fighting against is the Frazier Report. When the report was released in June, there was already evidence that Oakland officials had attempted to sugarcoat its findings by adding their own "progress charts" to Frazier's evaluation (see "Damning Report of OPD," 6/20/12). However, Frazier told the Express at the time that he had no hand in creating the progress reports and had no way of verifying whether they were accurate. The series of email exchanges between Santana, Frazier, and Santana's chief of staff Orologas had begun three months earlier when Santana fired off a missive to Frazier from her iPad asking him to send a draft of the report to her only — and to ignore a request by Quan's public safety advisor, Reygan Harmon, to also obtain a copy. Frazier responded that this was not a problem, and asked Santana how she wanted the report delivered: "On my list of questions for you was 1) How many copies do you want printed, and 2) Do you want any on CDs and if so, how many?"